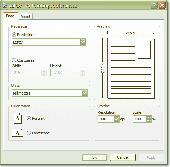 PDF splitter freeware software available totally free and enable to divide PDF file into pages. Application supports both passwords restricted and unrestricted PDF file. Tool allows splitting multiple PDF file at a same time by using batch technique. Kvisoft PDF Merger is a free PDF tool for combining multiple PDF files or images into one. It allows you to merge PDFs easily by 4 different merge methods. It helps PDF documents organizing, archiving, batch printing and emailing become more effective. If you want slightly more advanced features that simple PDF creators provide or are running an older version of Windows, then PDF Writer may be the answer to your needs. Pdf Quick Master automatically creates a Pdf file from your application. You should not do any settings, they will be defined automatically. The program based on the actual version of commercial and wide spreaded Pdf technology, which has been used in a lot of Pdf products on the market and is under permanent development. Free - All you will ever need to View Adobe PDF files, Export PDF pages and files to Image Formats, Type on PDF pages and much much more. From the same authors as the award winning PDF-XChange product line. - Developer SDK available. . .
Tomahawk PDF+ - state of the art word processing suite with the ability to save as PDF! Tomahawk can be used as to edit rtf, txt, tmd and other file formats. Multi-language, Spell check. This is the freeware version of our Tomahawk Gold software. Compress PDF file and reduce the actual size of PDF document with this completely free PDF Compressor. Free PDF Compressor removes duplicate PDF objects, optionally takes advantage of new compression features of latest PDF specifications that for many classes of documents compresses 30 - 60% better than what is possible in PDF 1.5.